On December 7, 2014, members of The Commonwealth Medical College (TCMC) community, Dr. Jen's Hope, and friends and family gathered on the 3rd floor of the TCMC Medical Sciences Building to dedicate a space in memory of Dr. Jen. The space is adorn with photos of Dr. Jen and is designed as a quiet place for study and reflection. ​Photos for the memorial were carefully selected by Dr. Jen's family and friends, and were chosen to reflect her adventurous spirit and passion for helping others. 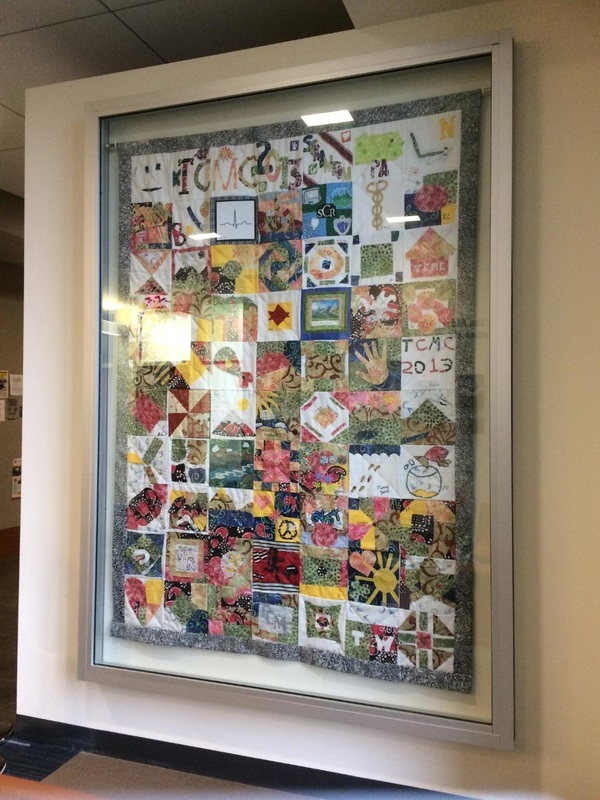 Later added to the Alcove was a quilt designed and crafted by members of TCMC's "Charter Class" of 2013. Each member of the Charter Class created their own section of the quilt. Dr. Jen's section is featured in the second row from the bottom.